Q ATS | Advanced Thermal Solutions, Inc.
*Image above is for illustration purpose only. 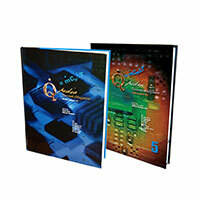 Description: Qpedia Volumes 1, and 5, the hardbound, full color book. © 2019 Advanced Thermal Solutions, Inc.